This is a dynamic necklace. It features a pear-shaped vibrant bluish-violet tanzanite that weighs 5.21 carats and measures 13.50x8.90mm in a prong setting. The gem source is near the foothills of Mt. Kilimanjaro in Tanzania. 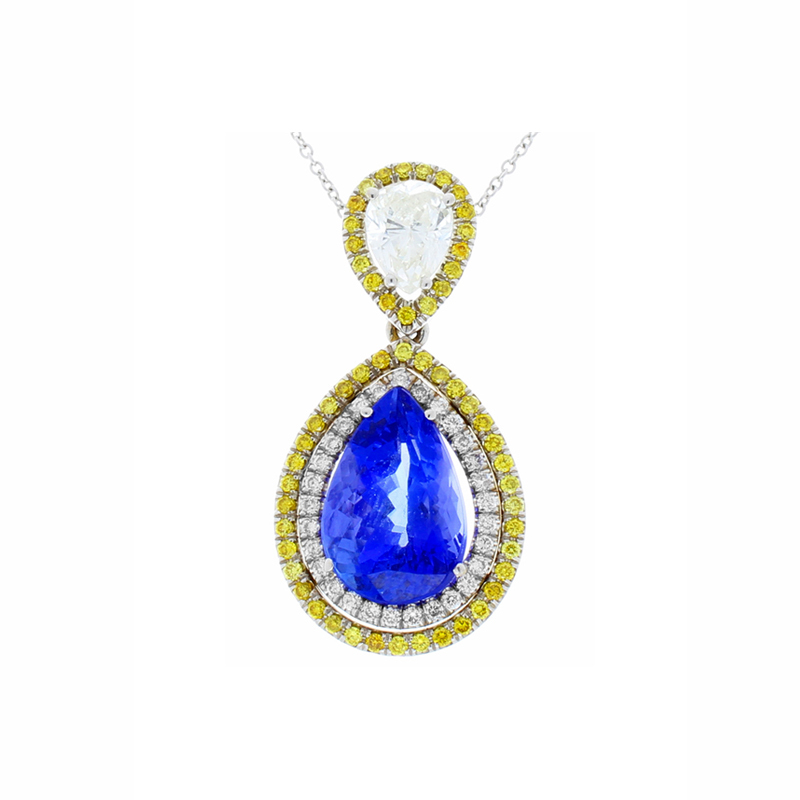 0.20 carats of round brilliant cut white diamonds frame the tanzanite and a 1.00 carat pear-shaped diamond expertly is prong set on the top. 0.30 carats of natural vivid yellow round brilliant cut diamonds finish the piece. Designed in brightly polished 18 K white gold and hung on a delicate cable link chain with an invisible bail, this necklace is design-forward and a great color combination.